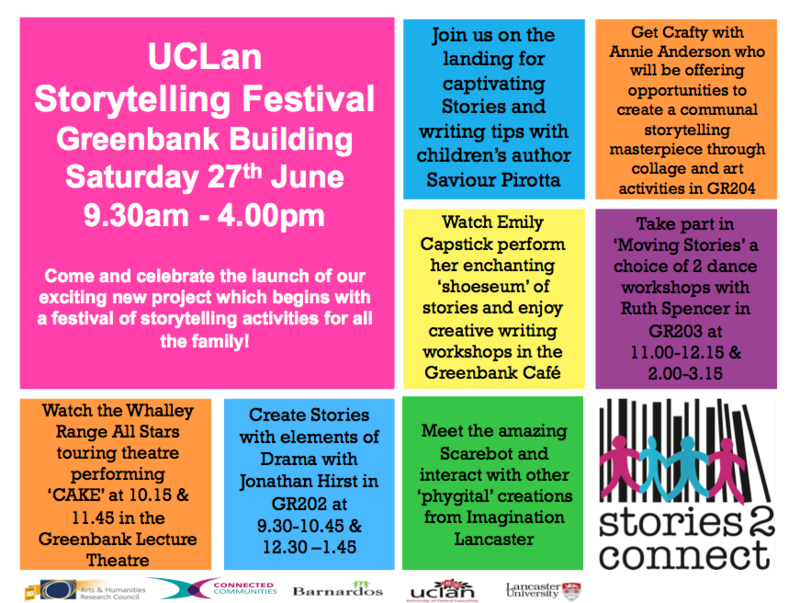 Come and join us for our ‘Stories2connect’ project launch at the University of Central Lancashire on Saturday the 27th of June where visitors will be able to engage with storytelling in a wide variety of forms throughout the day. Our locally organised activities will contribute to a UK-wide Festival programme of events and digital activities held as a part of a ‘Festival Fortnight’ between 15th and 29th June 2015. For details of other festivals taking place visit, http://connected-communities.org/index.php/news/connected-communities-festival-2015/. As soon as you walk through the door you will be greeted by one of our team members, Professor Paul Coulton from Imagination Lancaster,and his amazing ‘scarebot’. During the day visitors will be offered hands on experiences with all things ‘phygital’ in the Foyer of the Greenbank building. 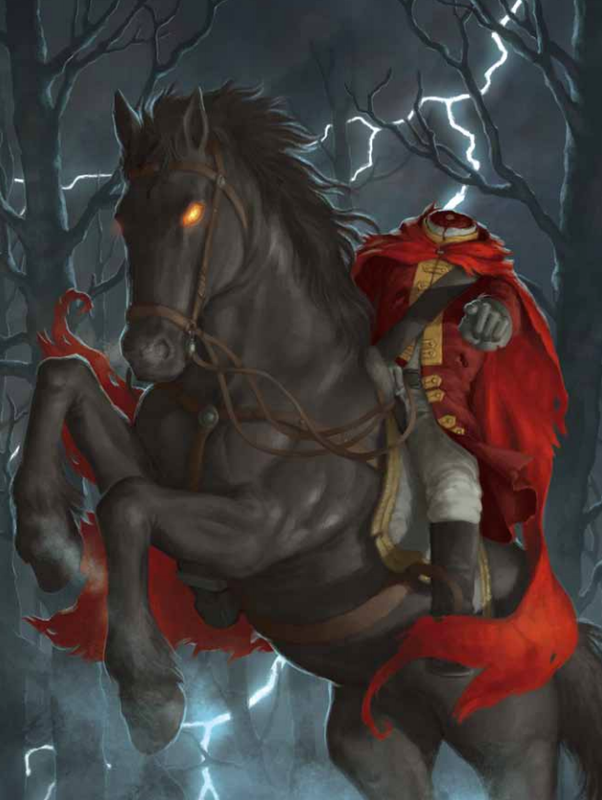 Take a sneak peek of Paul’s digitally enhanced scarecrow here. Wander a little further along the storytelling trail to the Greenbank Lecture Theatre and you will be able to watch a brand new object theatre show for children from the internationally renowned theatre company, Whalley Range All Stars who are performing ‘Cake’ at 10.15am and 11.45am. Cake takes to the kitchen to tell a story of valour and bravery as fresh as lemon-scented washing-up liquid. A heroic knight sets out, through a forest of forks and a mountain of washing up, to do battle with a vicious set of snapping teeth which threatens a large cake and the community that lives inside it. Cake’s attention to visual detail and theatrical surprise draw upon 30 years of public performance, offering imaginative experiences where you least expect them. Here’s a clip of their innovative production which will be showing at10.15am and 11.45am in the Greenbank Lecture Theatre. Join us on the first floor landing for captivating Stories and writing tips with children’s author Saviour Pirotta who will be telling stories from his published myth and folktale collections and showing visitors how to create their own myths and stories during the day. Visit the Greenbank Café where you will find award winning scriptwriter and storyteller Emily Capstick in her enchanting ‘shoeseum’ . 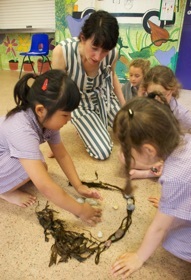 And don’t forget to call into our dedicated creative story workshops! Bring your stories to life with Jonathan Hirst and make your own story in six parts. Come and have some fun! GR202 at 9.30-10.45 & 12.30 –1.45.